In Longford, rents were on average 13.3% higher in the fourth quarter of 2018 than a year previously. 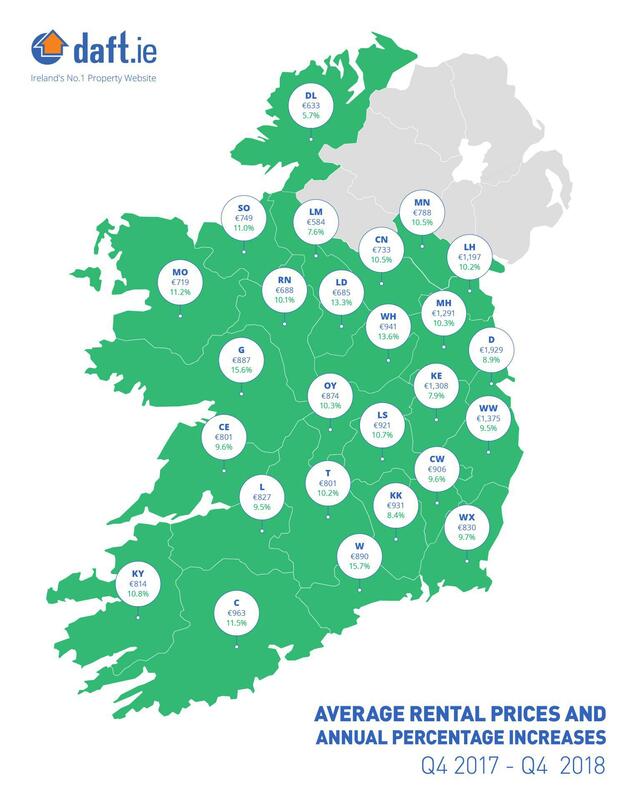 According to the latest quarterly Rental Report by Daft.ie, the average advertised rent is now €685, up 70% from its lowest point. Rents rose nationwide by an average of 9.8% in the year to December 2018. While this marks another record high in national average rents, the rate of increase is the slowest in almost three years. The average monthly rent nationwide during the final quarter of 2018 was €1,347. This is €317 per month higher than the previous peak in 2008 and over €600 higher than the low seen in late 2011. 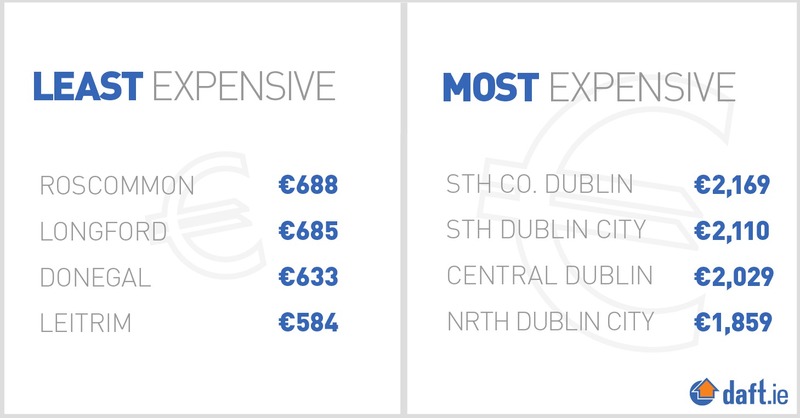 In Dublin, the increase in rents in the year to December 2018 was 8.8% and rents in the capital are now 37%, or almost €540 a month or €6,500 a year, higher than their previous peak a little over a decade ago. Rents continue to rise more rapidly in Ireland’s other cities. In Limerick and Waterford cities, rents were 16% and 16.7% higher than a year previously, respectively. Galway saw its rents increase by 13.1% over the course of the year, while in Cork city, rents rose by 11.4%. Outside the five main cities, rents rose by an average of 10.4%. The slight easing in inflation comes as availability shows slight signs of improvement. There were 3,641 properties available to rent nationwide on January 1. This marks an 11% improvement on the same date in 2018 and is only the second time – together with February 2017 – that stock on the market improved at a double-digit rate. The improvement in availability is led by Dublin (up 18% year-on-year on January 1st) but was seen in all parts of the country.